Although 4G technology is still in the process of being rolled out, it has now truly become the world’s new mobile standard. 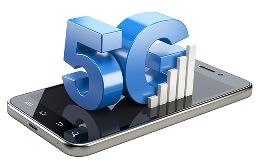 At the same time, though, 5G technology has quickly been gaining ground in the standardization community and has now gotten close on the heels of 4G. This year will likely see the mobile industry take the first steps toward making this newest technology a reality, with the kickoff of major research in a number of areas. But a key challenge for developing 5G is first completing the buildout of 4G or LTE globally, which will pave the way to an IP-based environment that will lay the essential IP technology foundation for 5G. I recently had an opportunity to examine this in an article in RCR Wireless, “Preparing the way for 5G in 2016.” In the article, I describe that in order to best evolve to 5G in the future, it’s crucial that operators place emphasis on the important areas that will help them best position their networks best for LTE and VoLTE now. I invite you to check out the article and share your thoughts with me on this new technology. How well we evolve to 5G will depend on how smoothly we are able to work through the complexities of 4G now. 5G: Where Are We Now?